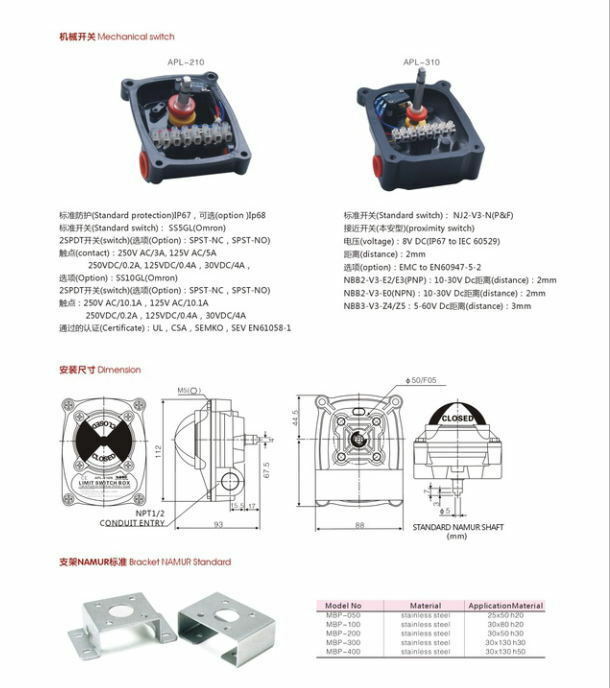 Accessories - Limited Switch Box APL410N - Zhejiang Zhitai Valve Co.,Ltd. 1. Switch position can be clearly identified by indictor . 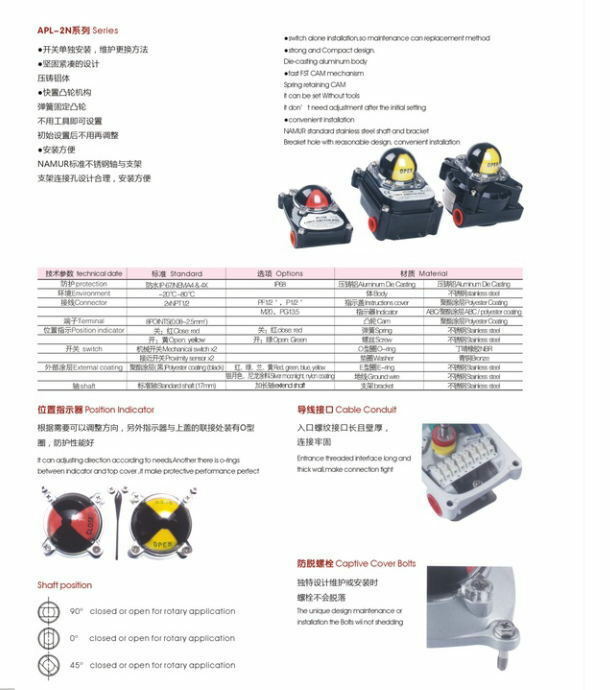 2 Die casting aluminum shell, powder coating.